Nowadays there probably isn’t a single home that doesn’t have at least one electronic device. However, in case you didn’t know, chronic diseases can be caused by Wi-Fi or some of the devices you use every day. Our bodies are exposed to electromagnetic fields daily. Electromagnetic waves can be separated in two groups shorter than visible light which include Gamma Rays; X-rays and UV light and those longer than visible light such as credit card readers; Wi-Fi, cell phones, video-game controllers, baby monitors and walkie-talkies. The waves shorter than light have higher frequency and are stronger. They are particularly harmful because they can penetrate deeply into the tissue of living organisms and can even cause cancer. The radiation from your cell phone or Wi-Fi does not contain the energy needed to chemically alter substances through a process called ionization. 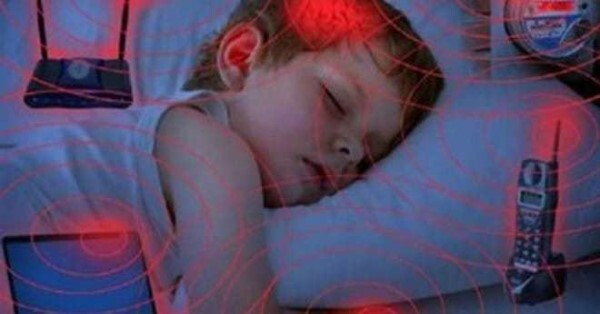 But long term exposure to this type of electromagnetic waves can have serious consequences on your health, for example they may cause cancer or delayed kidney development. Most people consider cell phones, tablets and Wi-Fi safe however long term exposure can cause irreversible side effects. Some of the side effects are chronic health conditions. If you want to protect yourself and your loved ones from the risks that these electromagnetic waves carry, we have prepared a list of steps that you should take.